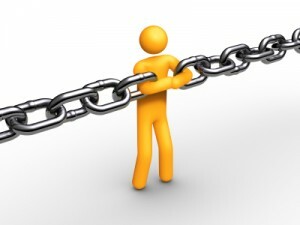 Link Building describes the activity associated with fostering links to your website from third party sites. 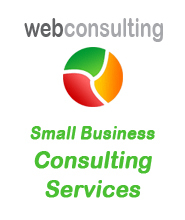 It is an activity that most website owners recognise is important, but are not too clear about how to go about it. Link Building is also an activity that is often overlooked by web designers/developers, and because it can be labour intensive, is not usually the favourite activity for SEOs. Saying that, with the right approach, and a clever strategy, Link Building does not have to be a painful process. Determining which sites are likely to be the best ones for you to seek links from, should be an important part of your Link Building strategy. A few quality links from important (and relevant) websites are likely to be of much greater benefit to your rankings than many links from relatively unknown sites. Undertaking a Competitor Analysis – where you focus on the sites that are already achieving top ten rankings for your primary keyword phrases, is a great way to start. As a part of this competitor analysis exercise(which should include an analysis of your competitors backlinks), it is quite likely that a number of important, influential, or authority websites will show up repeatedly. These sites are probably “Authority websites” and are ones that you should probably be targeting as important sites for you to try and get backlinks from. Testimonials – Most sites are keen to get (and publish) testimonials about specific aspects of the products/services that they provide – particularly if it is not one of those “anonymous testimonials”, but also includes name, position, business name and perhaps even a photo. Write a testimonial for their site and send it through, saying that you are happy for them to use it if they wish. Get Social – Establish a relationship with the business on social media (Facebook, Twitter, Linkedin) – follow them, friend them, retweet them, interact with them, comment on their posts, etc… and over time you will develop a relationship which could very well lead to a link… and who knows what other opportunities. Media Mentions – If you manage to get talked about in the media (Newspaper, Magazines, Radio) and happen to mention the third party, it helps raise your profile with them, and is also a good excuse to contact them to highlight the mention. Compatible Content – If you have (or can create) some content on your own site that could be of benefit/interest to customers of the site you want to get links from, let them know about it, and invite them to link.